We have been too serious lately, and too heavy on Russian scandals. It’s nearly time for the State Fair in Minnesota, and thoughts naturally turn to food. People diet for a lot of reasons. Some want to lose weight and others just want to be healthier. Many of the big fads seem to be more of a social thing, something people do with friends when there isn’t anything good on teevee. It’s hard to call yourself a real blogger if you don’t write about a diet at some point, so it’s high time for the Barataria approach to better living. It’s called the “Idiot Diet”, and it’s very simple – never eat anything you don’t understand. This can cause a lot of trouble if you know something about food already, since a little knowledge is often a dangerous thing. But with time the harmony of mind and body will set you free with a developing sense of smugness that makes a good stand-in for health in a pinch. Too many choices. Few are good. Fewer are understandable. In practice, the Idiot Diet always starts in the grocery store. 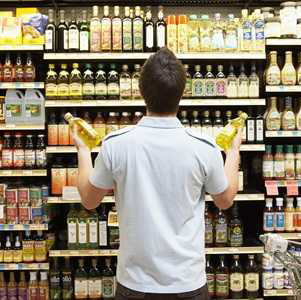 You can find many people practicing a version of this as they meander the aisles picking up packages of food and food-like products so that they can carefully read the label. Many times these are cautiously set back on the shelf as though one of the ingredients is radioactive waste. They are already practicing the Idiot Diet, even if they don’t know it. How much Polysorbate-80 should you eat in a day? If the even the question makes you a little queasy, congrats! You’re already on the Idiot Diet. Rows of fresh veggies and fruits are easy – you can eat those all you want. Eggs are good, as is fresh meat. Pop Tarts? Cheetos? Do you even want to know? There are places where the Idiot’s Diet breaks down, of course. High Fructose Corn Syrup is a popular demon-spawn food to pick on these days because it’s made in some kind of industrial process. HFC-55, as it’s known in the industry, is a corn product that is 55% Fructose standing in for ordinary sugar at 50% Fructose. Sugar comes from … well, it’s an industrial process that is centuries old that is often refined in a very dirty old kettle, sometimes in an undeveloped nation that still practices a form of slavery (such as Florida). That’s entirely different, right? Right? Oh, nevermind. 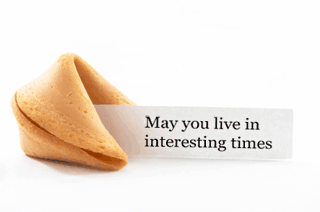 Exactly how interesting is sometimes up to you. The other problem with the Idiot Diet is that people often feel like they understand what they are getting at a restaurant, which is pure delusion. There are only so many ways to make food taste really good and most of them involve a boatload of animal fat and a heaping dose of sodium. A variation on the Idiot Diet is the Radical Idiot Diet, which is that you should never eat anything you can’t identify at all. Go for this approach and you will never eat out again. It’s a great way to save money, sure, but it’s not a lot of fun. It can also cause awkward social situations, especially across ethnic lines, when being “polite” at a party means just not asking a lot of questions. There are foods and food-like products that very few people understand which are not bad for you. My training as a Chemical Engineer gives me no fear of Lecithin, a common soy derivative that makes something like an edible form of soap. There’s a better way to sell it as safe, of course, but that’s not the point. If the appearance of this humble stuff in the ingredients turns you off then by all means don’t eat it. Now available in cola flavor! Yes, this is why it’s great for cleaning spark plugs and valves. Some common things like colas contain the biggest surprise. 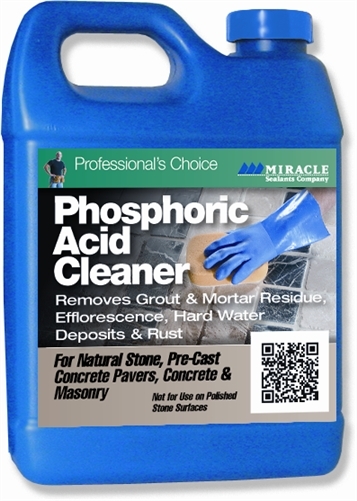 Does Phosphoric Acid sound like something that you shouldn’t eat? The short answer is “Yes!” but you probably already knew that. What the Idiot Diet comes down to, at first, is reading the labels. But it goes way beyond that. Things that Mother Nature didn’t bother to put a label on, like fresh veggies, are always good. Once you are well practiced details aren’t as important because a glance at a list of ingredients that is more than an inch tall probably includes at least something that you won’t understand. You can just put that highly processed “food” carefully back on the shelf and keep going. Wipe your hands on your pants if they feel a bit icky. It may not have a fancy website or teevee show, and there’s probably no way to make money selling it. But the Idiot Diet has many advantages over most of the diets out there, mostly in its simplicity. A lot of people already practice it, too. Simply never eat anything you don’t understand and you’ll be happier – or at least a bit more smug. Both are good. This entry was posted in People & Culture and tagged diet, food. Bookmark the permalink. I am def on this one!